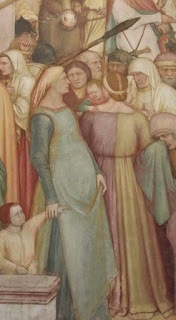 Well, as it's a fairly basic A-line gown I can of course wear it as a c.1330 mi.parti gown from any part of catholic Europe really, but I am wearing it the Italian way, with a tie under the bust. It is all hand sewn from thin wool. 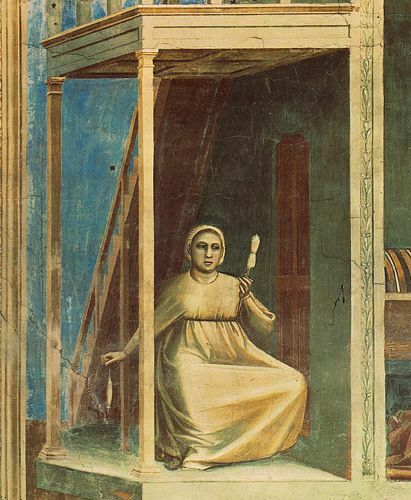 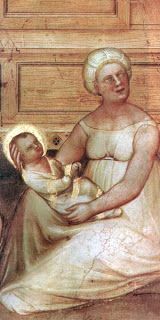 Giotto, 1304-1306 - the small neck hole is typical for the early part of the period. 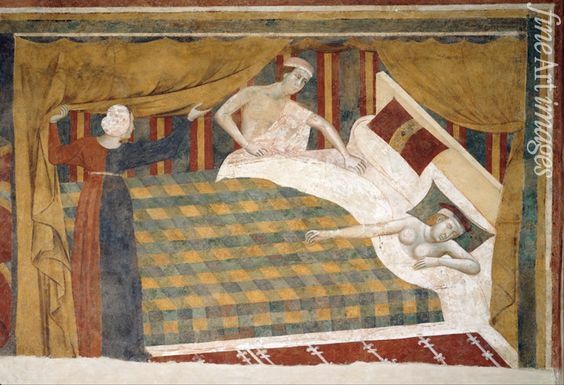 You may notice that I am not wearing a bra, I am trying to use this type of underwear, a shift tied under the bust. 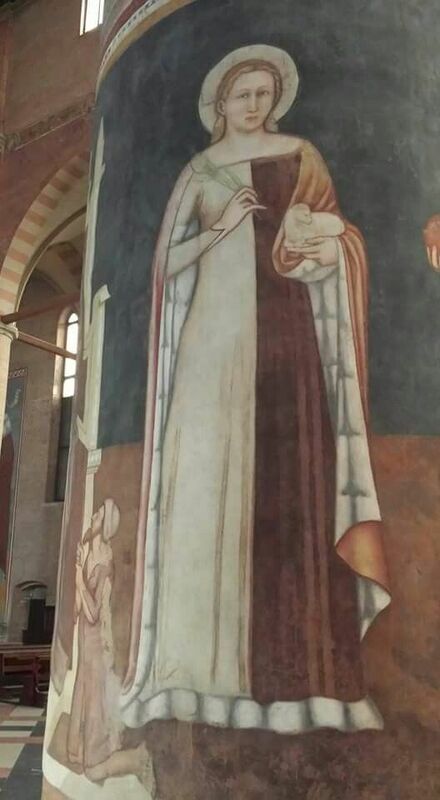 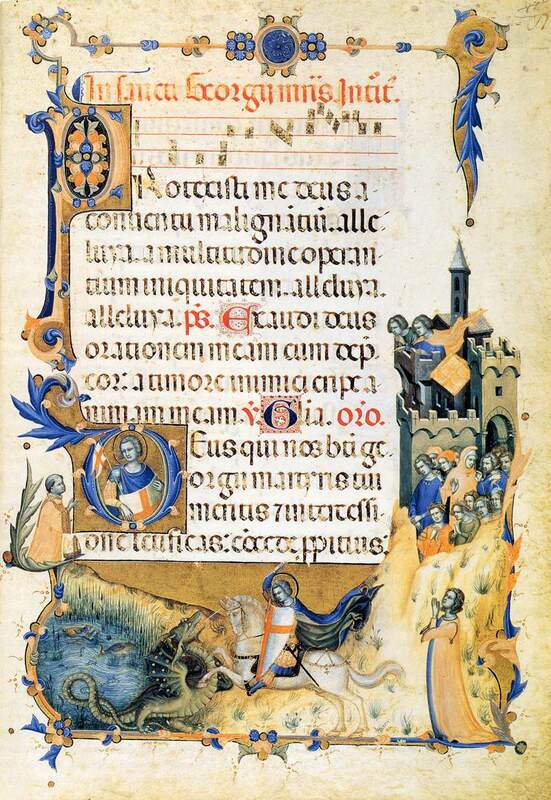 Giousto de Menabuoi, Padua 1376. 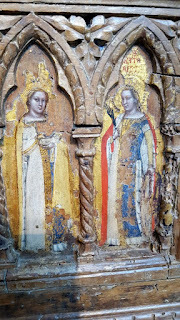 Though much later than my gown I guess that since they wore gowns tied under the bust already around 1300 they might have used the same method on their underwear to keep the busts at least a little in place. 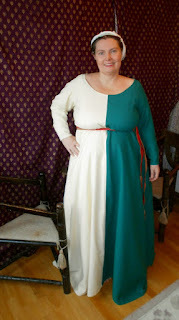 Around 1330s we see both wider and deeper necklines, which is why I made this one that way. 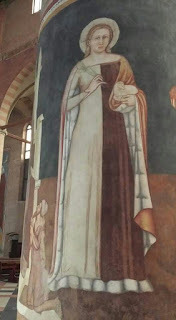 Mi-parti isn't that common on women in Italian paintings in 14th century, but they exist, and here are a few. Memmo di Filippuccio, Siena. 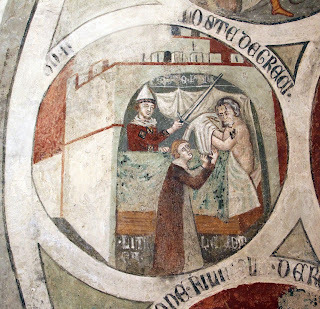 He was active between 1303 and 1345. 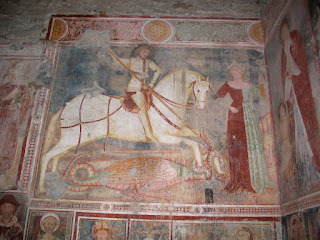 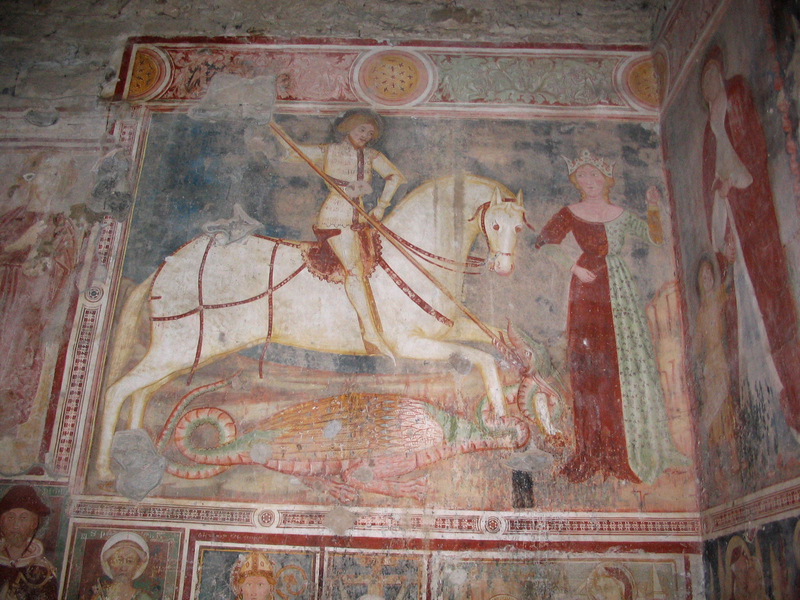 Fresco of St. George and the princess 1388, The church of St. George in Bergamo. 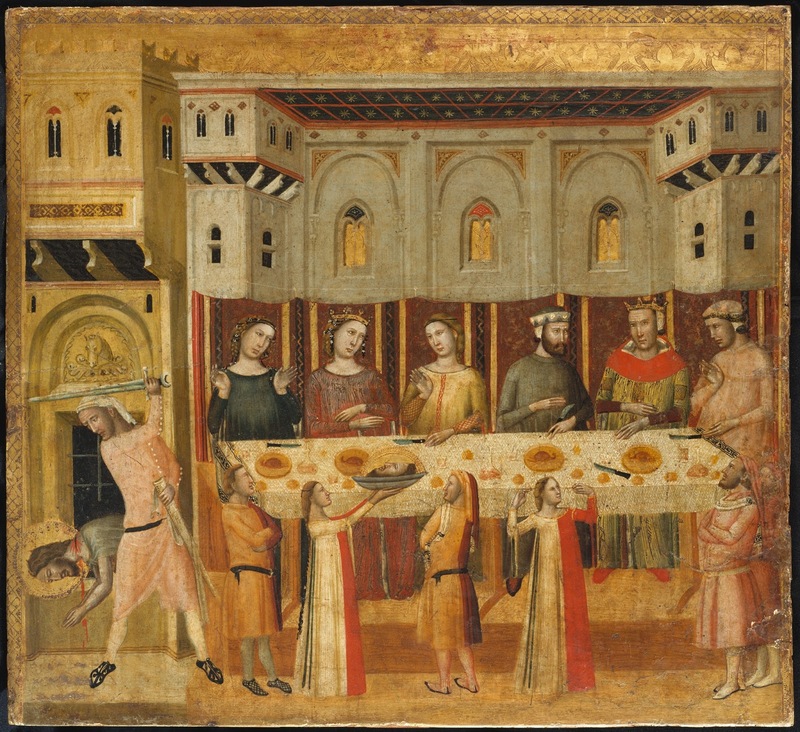 Asciano, Palazzo Cimmunale. Attributed to Cristoforo di Bindoccio and Meo di Pero. 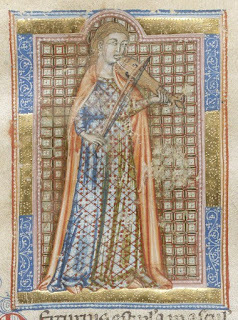 Master of the Codex of St. George, kneeling princess in a peach and blue mi-parti gown. 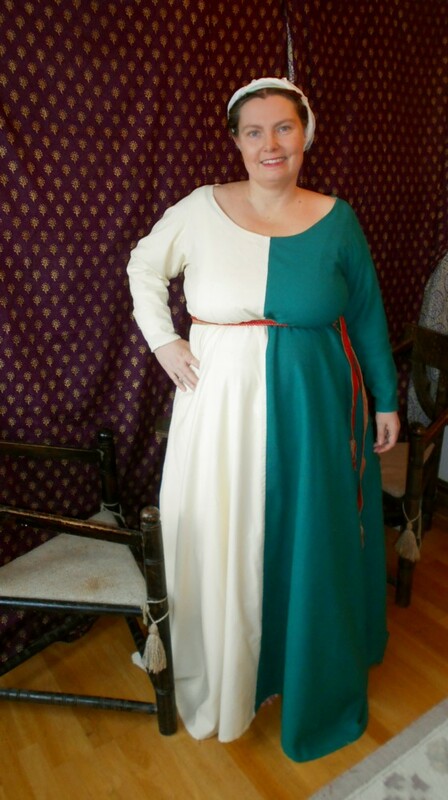 Mi-parti with a broad trim dividing the two colours. 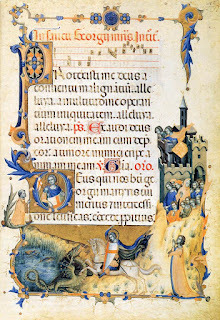 Tommaso da Modena, 1360s-70s. 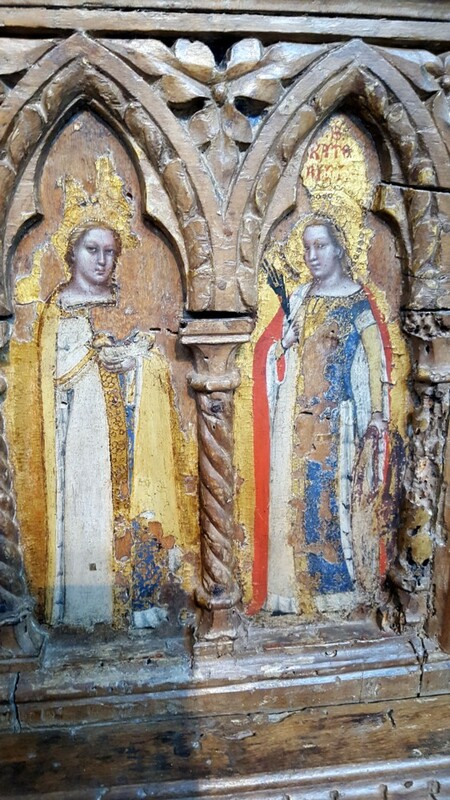 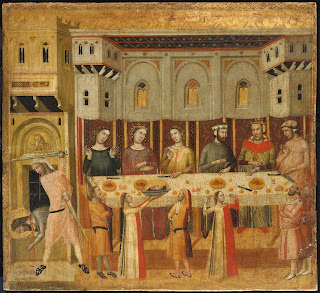 The Baronzio Polyptych ca 1340, by Giovanni Baronzio. Note that the gown is slit in the front! 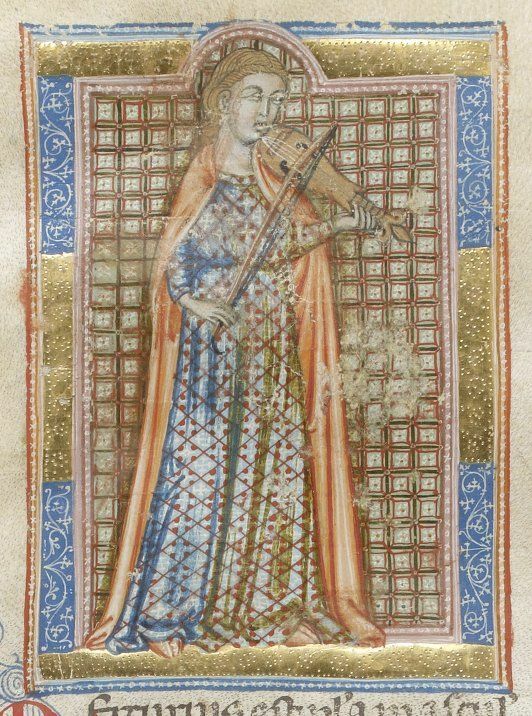 The gown came out well; just like the images in the illuminated manuscripts. 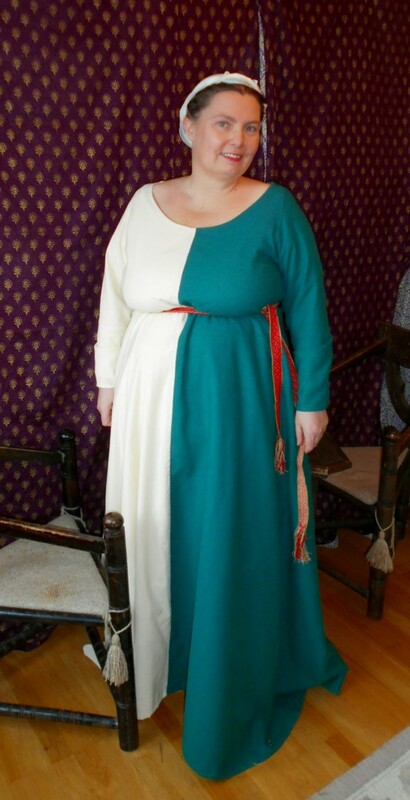 And it looks great on you!